We have looked at some amazing cubby houses on Babyology but for the most part they have been the designers’ showpieces. So it is nice to come across a real-life ‘working’ cubby with a wow factor. Parents Judy and Tom set about creating a cubby house for their son Andrew to encourage imaginative play. Clearly Judy and Tom don’t do things by halves. 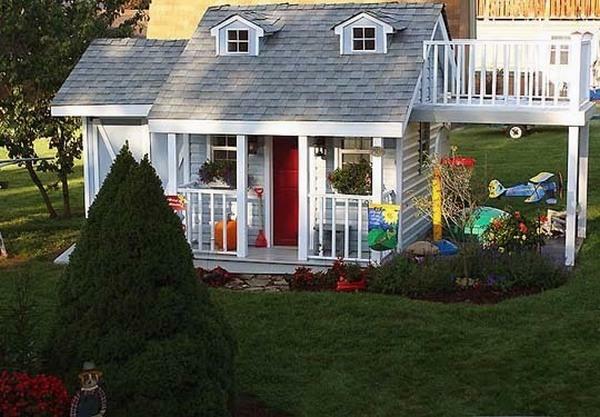 The cubby has a loft, a deck, a ladder and a garage (because all boys need a shed!). Tom is not a builder or a carpenter (but obviously very talented) and the cubby was designed from scratch and largely built from salvaged wood and other materials. It’s the little touches that make a house a home and Andrew’s cubby has lots – from the address marker and the Calvin and Hobbes mural to the directional sign pointing to surrounding amenities such as the sandpit. 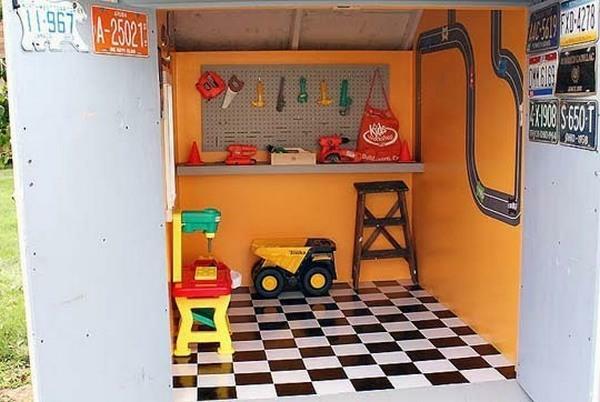 The piece de resistance is the garage complete with workbench, tools and a fantastic racetrack mural. 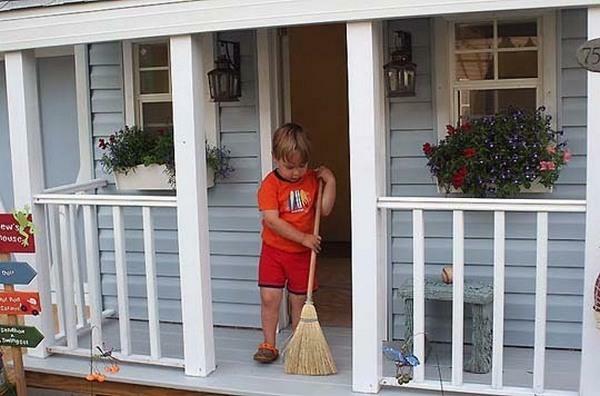 Judy and Tom kept a record of the development of the cubby (it took more than four months to build) so if you’re planning something for your backyard, you may like to check in at Cutest Little Things for some inspiration.